These images are the copyright of Mr. Spratt who has generously given permission to display them here. For more about Andrew Spratt click here. For a complete index of Mr. Spratt's castles on this site click here. Scroll down to read more about the castle. Thomaston Castle as it exists today and is seen in the photo on the left is located west of Maybole on A719 just south of the entrance to Culzean Castle. 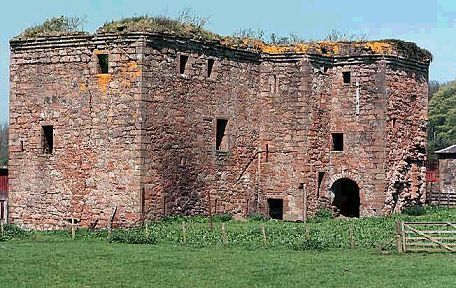 Thomaston was originally built by a nephew of Robert the Bruce. 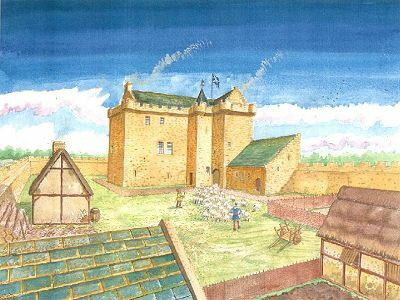 More about the castle can be found on this page.